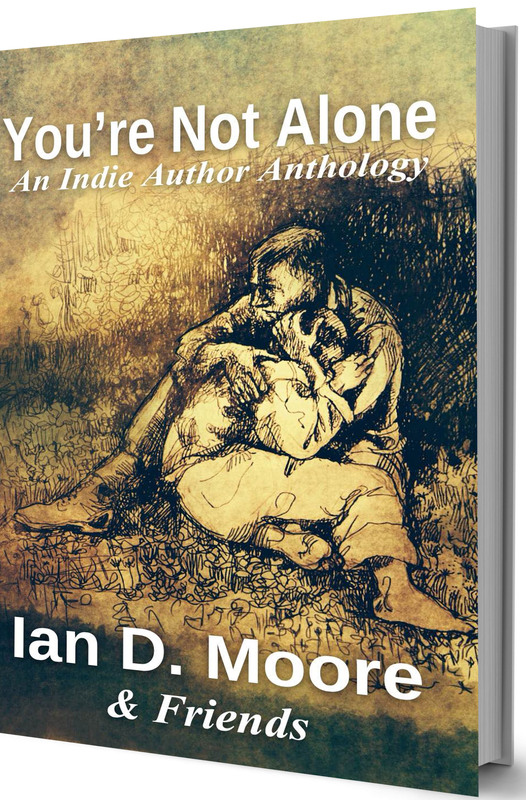 Interview with Christine Southworth, the cover artist for “You’re Not Alone”, an anthology in aid of MacMillan Cancer Care. Today I’m welcoming Christine Southworth, the cover artist for “You’re Not Alone”, an anthology in aid of MacMillan Cancer Care. Hello Christine, please tell us a little about yourself. Art has always been a big part of my life, I studied at art college then went on to have a career teaching art in a secondary boys’ school. Since retiring, I work as a full time artist and printer, with studios in both England and Canada. I am a mum of two; my daughter is a teacher and enjoys writing and my son is a painter having inherited my artistic talents. I am also Nana to three little granddaughters who keep me busy when I’m not drawing. I live in Lancashire, England but like to travel as much as possible. I was probably around three years old when I first started drawing. It was in the pre TV days with only a wireless for entertainment; we were allowed to listen to it for half an hour as a treat. In the evenings we would all sit around the big table and do something creative. My father was a carpenter, so he would sit making wooden toys and carving and I would keep occupied reading or drawing. I could always be found either with my head in a book or sketching. How did you end up designing a book cover? My daughter is part of the group of writers who were putting together the anthology. She asked if I would design the cover and I was happy to be a part of it. It was a good opportunity to give thanks to all those nurses who cared for my husband. I have always enjoyed using my talents to support charities; during my career as a teacher I was in charge of organising charity events. Most recently I have been working with MHIST a mental health charity that uses art therapy to help people rehabilitate after long hospital stays. I am an avid reader. I like books about spiritual journeys and how physical changes can lead to an emotional change. I also like crime thrillers based on forensic pathology. What is your work routine like – your daily routine and the process? What is your favourite part of the process and which is the least favourite? Do you prefer working day time or at night? I work from 10am to 4pm at the Neo Artists studio etching. On a Wednesday I run a life drawing class. It is open for anyone who wants to learn and it is non profit, any money made pays for models and the room. Day or night? Time is irrelevant when you’re retired, I work whenever the inspiration takes hold. I like working to a theme, exploring and seeing where it takes me. This last year my theme has been loss of innocence – children in poverty and war zones. The underlying feelings of compassion and hope fitted perfectly with the brief I was given for the book cover. How long did it take you to get the cover design ready? From the time I was given the brief, my part took around a week. I spent a few days thinking about the scheme then drew up some sketches. I then liaised with digital artist Nico Laeser while he turned my sketch into the book cover. Over the years I have worked with many different media, pen and ink, watercolour, charcoal and pastel, oils and recently I’ve returned to etchings. I am a member of the Neo Artists and have recently become a full member of Manchester Academy of Fine Arts and the Society of Women Artists. I have just finished judging an art contest for Bury Hospice which helped raise nearly £10, 000 for a dedicated nurse for the hospice. I had four works of art in the SWA annual open exhibition running from the 5th to the 14th of June, at the Mall Gallery, London. My picture from last year’s exhibition has been used on this year’s publicity material. I have just been made a member of the council for MAFA and hope to use this position to promote art in the Northwest of England. When I’m not drawing or chasing after my granddaughters, I love travelling and I’m learning Italian. My next holiday will be studying art at the university of Roma Centrali. I also love spending time out in Canada with my sister. She has a cabin in a forest; it’s just nice to get away from the modern world and be surrounded by nature. This is where I have my second studio. My friends say they admire my tenacity, I never give up and like to see a job through to the end. This can be a strength and a weakness. I used to drive my children mad, once I got focused on my work I would disappear into my own artistic world for hours on end. Definitely dog. I have always had border collies, slightly mad but affectionate and loyal. I would have to have something to draw on or I’d go crazy. If I couldn’t have pencils and paper I’d have to draw in the sand with a stick. I would like to dine with Grayson Perry the cross-dressing potter. He’s wild, wacky and a little controversial, but I think he talks a lot of sense about art. I often listen to him on the radio while I’m working. I’d have to set an extra place for his alter ego Claire though. 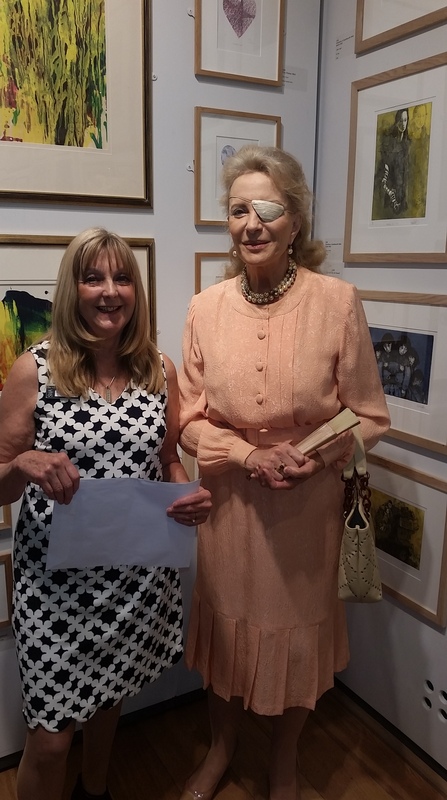 Christine received the Barbara Tate Award and tends to sell from exhibitions rather through a website. Beautiful artwork and nice interview, thanks! It’s a powerful cover. Nice to meet Christine. Hugs to you both. Great interview and what a lovely interesting lady. The book is for a cause close to my heart so will be buying this. Another great interview, and lovely to hear so much more about you Christine. As a self-taught artist who never had the opportunity to study the craft, I have a great respect for anyone who can produce work like yours. It seems that apart from your artistic skills, you have an affinity with generosity of spirit, so it makes it all the more special in my eyes that you produced that incredible artwork for our anthology cover. Congratulations once again on your recent award!